For the best mountain bikers in the world, the legends of the sport, the superfans, the rookies and next gen, the shred sisters, the action sports enthusiasts, the weekend warriors, dawn patrollers and twilight pedalers, and everyone in between: it’s go time. Want to get in on the action? Whistler will be ground zero for all things mountain bike over the next 10 days. Check out our Spectator Guide for insider knowledge on how to get there, where to watch, and how to make the most of your time on the ground. Following along from home? That’s the next-best seat in the house. Here’s what you need to know to get amongst the Crankworx Whistler goodness in 2018. In the words of 2013 winner Martin Söderström (SWE), the name of the game in Dual Speed & Style is: “go fast and do tricks.” Easier said than done. 400 of the best all-mountain riders in the world, putting it all on the line. Five all-encompassing stages, showcasing some of the best riding on the planet. One all-round challenge, to conquer the ups, shred the downs, and bring it all together when it matters most. It’s time to go all-in at Round Six of the Enduro World Series at Crankworx Whistler. 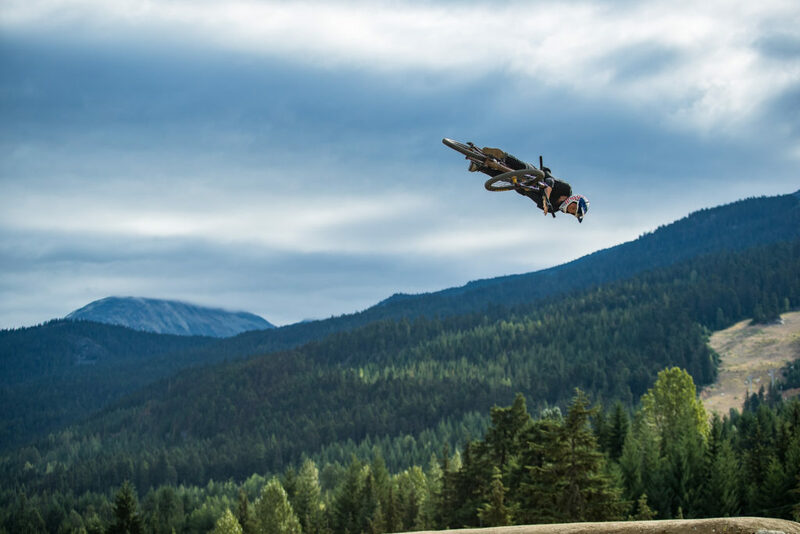 A-Line, Whistler Mountain Bike Park’s most iconic trail, and it’s perfectly sculpted berms and jumps gets taken over by the world’s fastest and most stylish. This is one you won’t want to miss. The pump track has become one of the signature events of Crankworx, drawing slalom stars, stylish slopestylers and powerful BMX riders to its series of meticulously shaped berms and rollers to battle for the top. The runaway hit of the season. After expanding to Crankworx Rotorua and Les Gets, Dual Slalom racing comes home to Whistler. Raw rivalry is the name of the game as competitors from a variety of disciplines put down the pedal strokes, head to head, looking to cross the finish line first. A simple but winning concept that culminates in what many competitors call their favourite event. 14 of the world’s best. The biggest course of the year. The most legendary event in the sport. 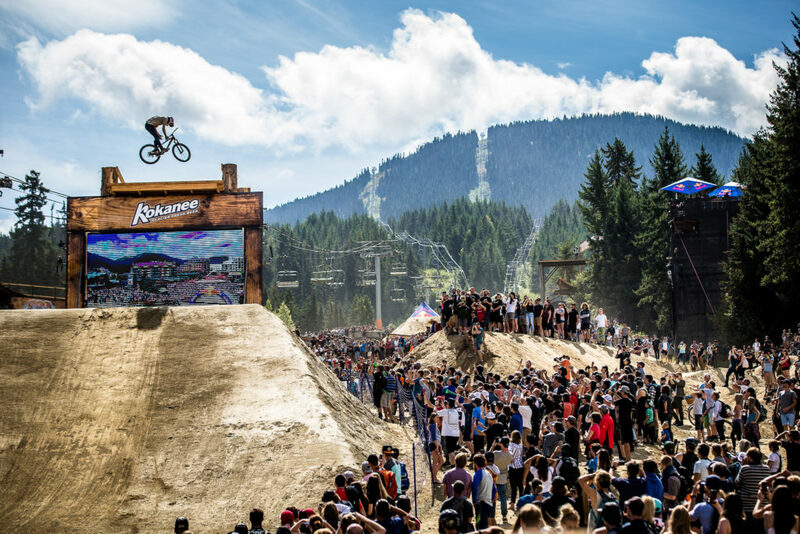 The marquee event of Crankworx Whistler. 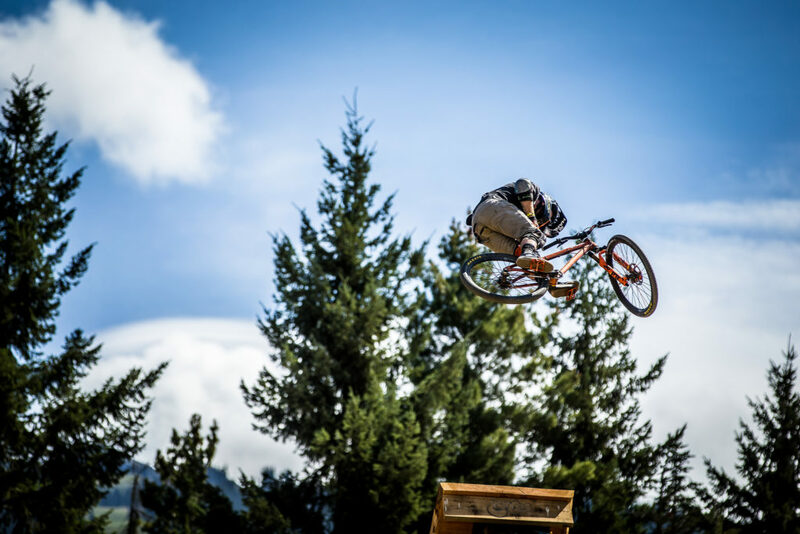 This year’s final event of Crankworx slopestyle season has shaped up to be one for the record books. On the line? The win at Joyride, the Crankworx FMBA Slopestyle World Championship overall title, and the elusive Triple Crown of Slopestyle, never been won before, but once again within reach for one rider. Stevie Smith. Rachel Atherton. Troy Brosnan. Tracy Moseley. Sam Hill. It’s a downhill race with a storied history that inspires, and demands, greatness. The mid-August dust that awaits racers at the final event on the final weekend of competition in Whistler seems to favour the Aussies, with Brosnan and Tracey Hannah repeating in recent years. Will history do the same, or is it time for the dirt tides to turn? It all starts today. Don’t miss a moment as Crankworx Whistler launches into the realm of the extraordinary for the 15th year. Get the times and details for all live webcasts during Crankworx Whistler HERE. Here’s our handy guide to some of the best ways to get involved and get amongst what’s on, new and not-to-be-missed this summer as the world descends on Whistler. 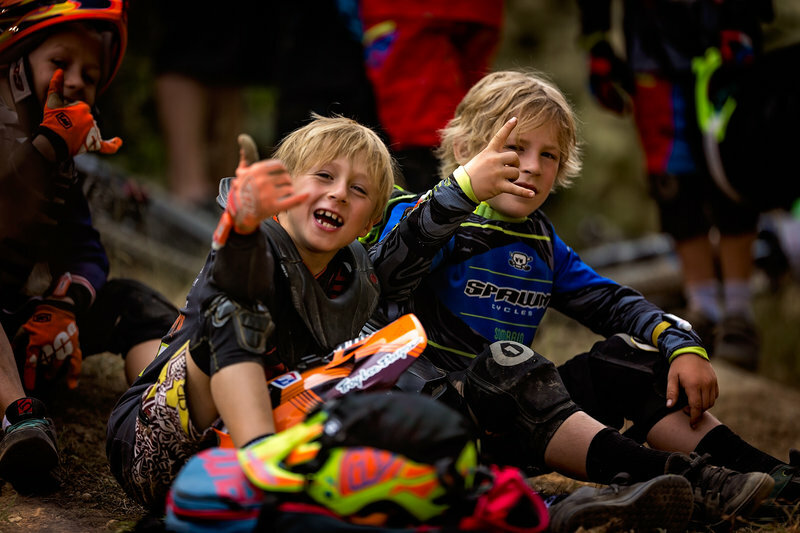 Saturday, August 11, 9 to 11 a.m.
A huge focus of Crankworx is providing opportunities for the sport’s youngest riders to get a taste of friendly competition. Kidsworx events offer great opportunities for young racers of all ages and levels of ability. For spectators, Kidsworx events are often a highlight as it’s nearly impossible to not get swept up in the excitement and cuteness of these young shredders. One of the best events to take it all in is the Kidsworx Crit, just one of 11 kids-specific events going down between August 10-19. Racing is for kids aged 2-10 for this criterium race that sees young racers battle it out over a set number of laps. If you’re heading to watch, be sure to get there by 9:45 a.m. to catch the 2 to 4-year-old category! Saturday, August 11, 7 p.m. to 12 a.m. and Saturday, August 18, 8:30 p.m. to 12:30 a.m.
Crankworx takes the party from the hill to the podium and beyond, with lots happening throughout the village over the course of the 10 days of festivities, including two major parties bookending the action. Coming up for the first weekend of Crankworx? Take the Whistler Village Gondola up to the top of the mountain to dance away the day as the sun sets over Whistler on Saturday, August 11. The Corona Sunsets Festival stop in Whistler will feature DJ sets from Claptone, Kidnap and Case of the Mondays in an epic outdoor setting. When it comes to the final weekend of competition, the Whistler Conference Centre will be the place to see and be seen. On Saturday, August 18 Crankworx is hosting the first-ever Crankworx World Tour Awards & After-Party. The award ceremony will gather over 1,000 attendees to honour the tenacity, dedication and passion that have fueled the growth and love for the sport, while the after-party will take the excitement to the next level, with award-winning Vancouver-based beat master DJ Flipout on the decks ‘til 12:30 a.m.
Sunday, August 12, 9 a.m. to 12 p.m. Think mountain biking is just for the boys? Spend five minutes in Whistler during the summer and you’re sure to have your eyes opened. 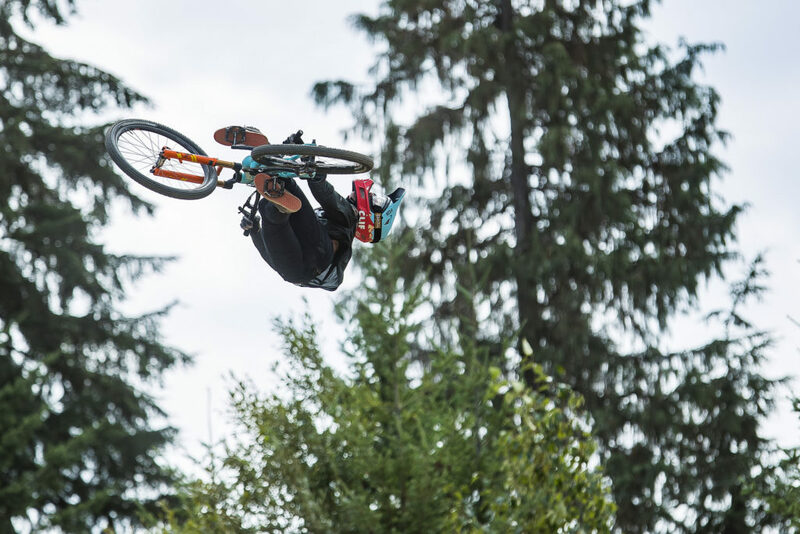 Every year, thousands of women flock to Crankworx Whistler to compete, ride, test out new products, take part in free clinics, and get inspired by fellow female shredders. 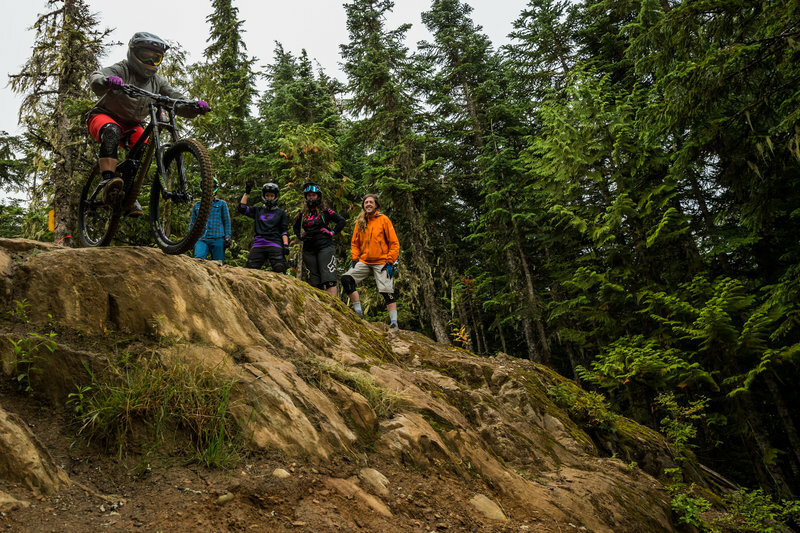 A perennial favourite event is the Liv Women’s Only A-Line Session, where one of the Whistler Mountain Bike Park’s most famous (and arguably most intimidating) trails closes for a private session just for the ladies. Since it began, participation in the free event has doubled year over year, with registration consistently filling up within a week of opening. It includes coaching from female pros and guides, free lift passes for the first 50 pre-registered riders to arrive on event day, the chance to demo top-of-the-line bikes from Liv, the first cycling brand completely dedicated to Women, and an event apres at the Garibaldi Lift Co., plus a slew of prizes, including a brand new Liv mountain bike. Online registration opens July 31. Not quite ready to drop in to A-Line? There’s lots more happening for women, including SRAM’s Women’s Clinics, covering everything from Suspension 101 to Trail Riding tips and tricks, the Women in Action Sport Panel Discussion, the Riverside Women’s Only Jump Jam contest, and the Women of Crankworx Autograph Signing. Tuesday, August 14 and Wednesday, August 15, 8:30 to 10 p.m.
What’s so special about mountain biking in the Sea to Sky? Grab a blanket and some snacks and pull up a patch of grass in Whistler Olympic Plaza on Tuesday and Wednesday nights during Crankworx and let some of the industry’s most creative filmmakers and photographers show you. On Tuesday, Dirt Diaries brings together six teams, comprised of athletes, filmers and editors, to each showcase a four- to six-minute slice of riding life in Whistler and beyond. Wednesday night its the photographers’ time to shine for the Deep Summer Photo Challenge where six photographers show off the results of a three-day shooting marathon. All events taking place in Whistler Olympic Plaza are free to attend, with tickets available for the licensed VIP area. Thursday, August 16, 8 a.m. to 12 p.m.
Get right into the middle of the community that builds and maintains the trail network the Sea to Sky is famous for the world over at the Crankworx Trail Day in partnership with WORCA. Every year, Crankworx hosts a dig day as a way to show some love to the trails that’ve been under heavier-than-normal use during competition, with the teams from Freehub Magazine, Specialized Bicycles and the Whistler Off-Road Cycling Association (WORCA) bringing fun, food and camaraderie to the mix. Get your hands dirty alongside the pros, get some insight to trail initiatives taking root around the world, give back to the community, and enjoy lunch and a cold beverage at Tapley’s Neighbourhood Pub to end the day. Saturday, August 18, 4:30 to 7 p.m. The best riders in the world bring their A-game to Joyride, the premier event in the sport of slopestyle mountain biking. This invitational event brings the 14 best slopestyle riders in the world to throw down big tricks on a custom-built course in front of a crowd of 25,000+. Ever seen someone go over a massive dirt jump, fly through the air and pull off a cork 1440 (an off-axis 360 degree rotation, four times), landing flawlessly? This is the arena in which to have your mind blown by the extraordinary things now possible on a bike, and, as the season-ending event, see the Crankworx FMBA Slopestyle World Champion crowned. Come early to scope out the best viewing spots. Joyride VIP Experience tickets are also available. The Whistler Bike Park will be affected by Crankworx and will experience trail closures varying day by day. Check the signs at the bottom of the Fitz Chair for daily trail closure information or here for a full list of closures. 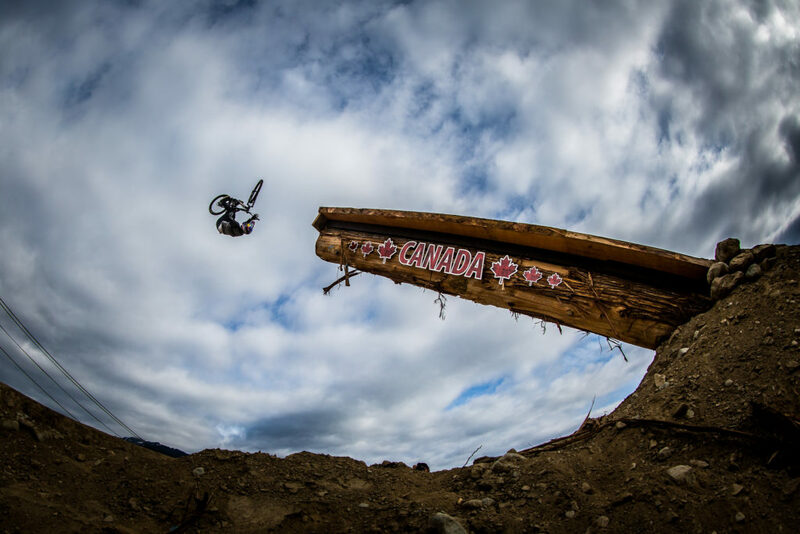 The Crankworx World Tour, with its four global stops, represents the pinnacle of the sport of mountain biking. Three down, with New Zealand, Austria and France already done and dusted for 2018, there’s just one more to go. Don’t miss your chance to catch a piece of the action and get a taste of what the world is coming to Whistler for.